Imagine being blamed for having cancer. It's unthinkable! But whilst physical illness usually evokes a positive, sympathetic response, people frequently react to mental illness in a dismissive, alienating, even scornful manner. No-one who is mentally ill should ever feel the need to apologise for it. But too often, fear and ignorance lead to a sufferer being marginalised and ostracised by friends, neighbours, family and work colleagues. Despite mental health disorders being so common - one in four people will suffer from mental illness at some point in their life - it continues to carry a social stigma. The consequent loss of jobs, friendships and marriages compounds emotional pain, adds to the sense of shame, isolation and desperation and makes recovery more difficult. SANE (to which all profits from this book will be donated) and other charities worldwide are campaigning vigorously to change public attitudes, helping to inform about mental health issues and making it more acceptable to speak about them. By the time you have finished reading these heartfelt and powerfully-expressed stories you will be better able to understand what it's like to have mental health difficulties. 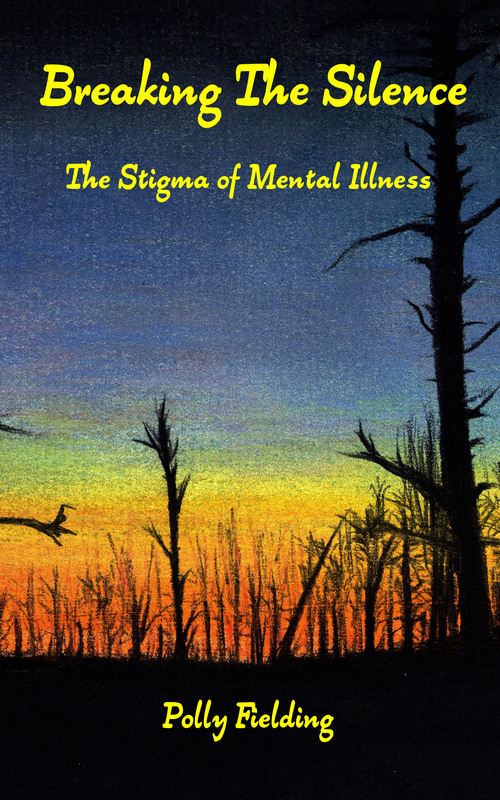 "This book is a brilliant breakthrough for helping people to hopefully understand the personal pain of mental illness, in all its many forms, and the hard and often lonely journey to get well at best, and understood at least. 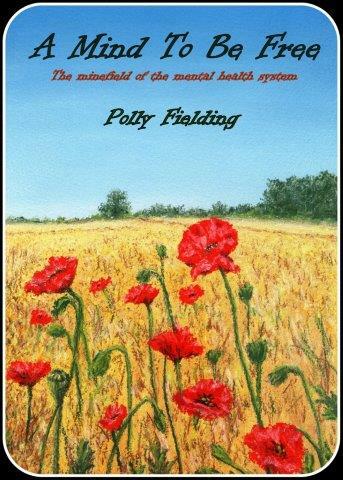 Polly Fielding has done a remarkable job getting the authors to write about their personal experiences and then putting these stories together, so perhaps family, friends and, definitely not least, the mental health experts and medical staff, will gain a better understanding, and thus help to begin to turn things around after so many years. Simply and starkly written, an honest account by the people who know about it best." "I facilitate a weekly mindfulness group. As part of this we open with a short reading to help frame our practice. Sometimes I am left struggling to find something suitable to share. This wonderful little book has done some of the hard work for me; bringing together a collection of wise words on mindfulness meditation that can both inspire but also be a focus for our practise. The introduction helps explain some of the paradoxes of mindfulness in every day language. 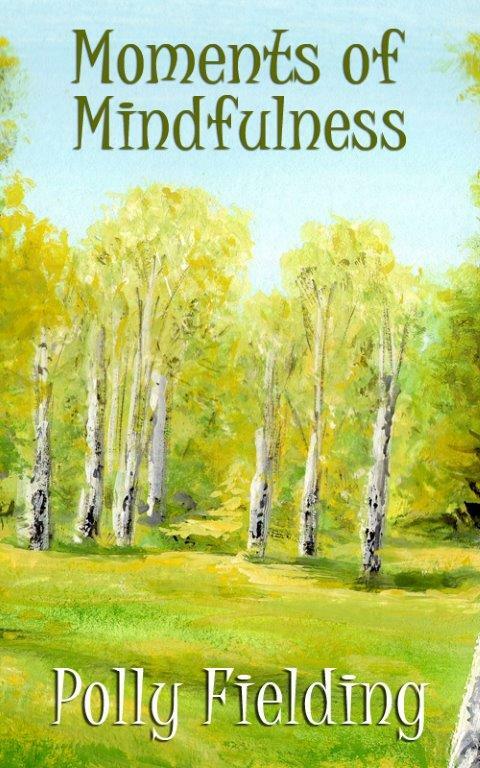 The author's examples of her own practise provide welcome words and encouragement to those embarking on this journey." From the very first paragraph we are drawn into the mind and world of a trusting young child. Polly was adopted by a couple who already had a child of their own. We watch as her trust is slowly and systematically eroded by an increasingly abusive childhood. 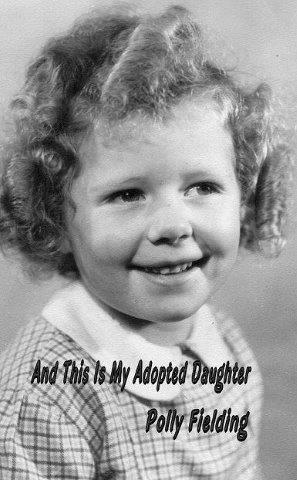 As she moves into teenage years and adulthood, Polly does not judge her adoptive parents but conveys the terror and despair she experiences in her adoptive family and her desperation to prove that she is loveable. In the second part of the book we follow Polly's search for her birth mother, whom she eventually meets in the USA. She hopes for a fairytale ending. Except that real life isn't quite like that... This heartfelt book, about a relationship with two mothers, is written in the present tense, which gives it immediacy and makes for an emotional and compelling read. This book and its two companion books, "A Mind To Be Free" and "Crossing The Borderline" are available as a single-volume trilogy under the title, "Letting Go", at a lower price than buying all three individually. "I was emotionally drained reading Polly's story. I was there with her every step. It's cruel that anyone would treat a human being in this way, especially a child. It's a miracle that she did survive." Polly Fielding had an extremely traumatic childhood (as readers of her book 'And This Is My Adopted Daughter' will already know). In her search for constructive coping strategies to deal with her powerfully painful emotions, she searched desperately and often in vain for help over many years. She read every available self-help book and consulted a variety of counsellors, therapists, psychologists, psychiatrists... Her stays in psychiatric hospitals made her realise that medication and locked doors were not the answer. A Mind To Be Free, is a brutally honest account of her experiences and encounters with mental health professionals - the good, the bad and the downright ridiculous. She tells it as it really happened. It makes for a compelling, if sometimes uncomfortable read, illuminated by insights and the occasional flash of humour. 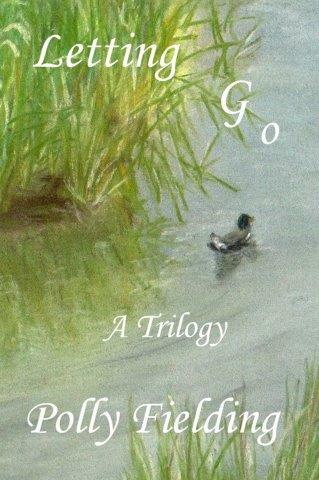 This book and its two companion books, "And This Is My Adopted Daughter" and "Crossing The Borderline" are available as a single-volume trilogy under the title, "Letting Go", at a lower price than buying all three individually. "A Mind To Be Free highlights how extremely hard it is for a person whose complex difficulties do not fit into simple categories of mental illness to find effective treatment. The author has had to struggle not only with her own problems but also with the weaknesses of mental health care." There are several therapeutic communities in the UK and USA, their purpose being to enable people with long-term complex mental health problems to assist and support each other in coping with their problems, under the guidance of trained psychiatric professionals. However, they are not a "soft option" - just like in the outside world, things can often get worse before they get better. Polly Fielding spent almost a year in such a community, learning the skills of Dialectical Behaviour Therapy to help to cope with her powerfully negative emotions which were often expressed in a self-destructive ways. Her experiences are told in the form of a personal diary and provide a unique insight into the benefits and pitfalls of taking part in intensive group therapy. It is an engrossing story which follows on neatly from her book "A Mind To Be Free". It will bring hope to those who feel that they are beyond help, alone with the daily torture of their mental suffering. 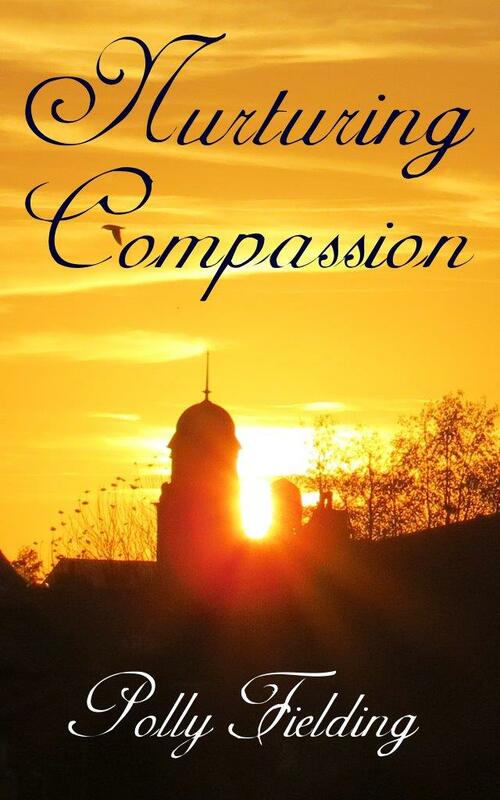 This book and its two companion books, "And This Is My Adopted Daughter" and "A Mind To Be Free" are available as a single-volume trilogy under the title, "Letting Go", at a lower price than buying all three individually. "A balanced account of the lived experience of Dialectical Behaviour Therapy. This should be read by clinicians and service users alike. The first book to bring Dialectical Behaviour Therapy to life, this is a must-read for anybody who has an interest in this novel treatment." 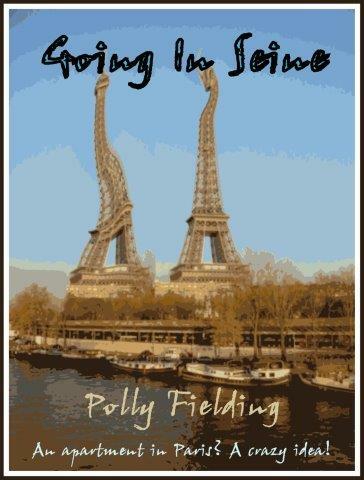 "Fielding's affection for Paris and all things French shine through and make for a thoroughly enjoyable read." Have you tried dieting but given up because it took too much willpower? The 5:2 diet is an exciting concept that takes away much of the difficulty by requiring you to count calories on just two days a week. The remaining five days you can eat whatever you normally would (within reason of course!). This approach really does work, as the author discovered for herself. Polly wrote this book about the diet as a means of making calorie-counting easy for herself and others. And by adopting a mindful approach to food she made her calorie-restricted days satisfying and enjoyable. There is a full chapter on mindful eating as well as a comprehensive explanation of why and how this diet works. Additionally, she describes how she coped with the problems she encountered. This is not a recipe book as such, rather a detailed menu plan for twenty-four low-calorie days, with the calorie content of each ingredient listed. At the end of the book is an easy-to-use calorie-counter to help you to make your own choices. By the time you've used it for a few weeks you'll be able to continue with confidence. "Polly writes in a way that shows she empathises with how people feel which is as helpful in the dieting process as the diet itself! I have heard of this diet but none of my friends have tried it yet, I will be recommending this book to them as a helpful start! Definitely recommend if you are looking for some useful dieting tips and friendly advice explained in an easy to understand way! :-)"
Have you tried dieting but given up because it took too much willpower? The 5:2 diet is an exciting concept that takes away much of the difficulty by requiring you to count calories on just two days a week. The remaining five days you can eat whatever you normally would (within reason of course!). This approach really does work, as the author discovered for herself. 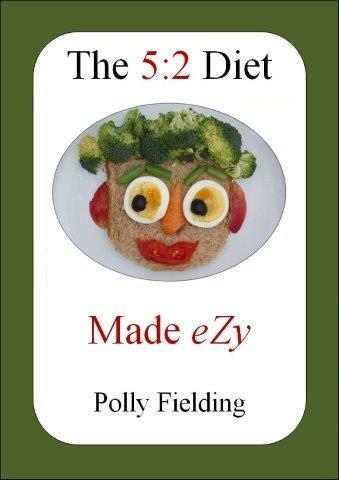 Polly wrote this book about the diet as a means to make calorie-counting easy for herself and others. Her continued search for a variation of meals for the low-calorie days, led her to discover the delights of eating the vegetarian way. And by adopting a mindful approach to food she made her calorie-restricted days satisfying and enjoyable. There is a full chapter on mindful eating as well as a comprehensive explanation of why and how this diet works. This is not a recipe book as such, rather a detailed plan for twenty-four low-calorie days, with the calorie content of each ingredient listed to give you an excellent head start. Every meal and each day is given its calorie total and to make things even easier there is a useful calorie counter to refer to at the end of the book. By the time you've used it for a few weeks you'll be able to continue with confidence. "Yes, it is basic and simple but I have found it really useful and easy to follow with variety for each day. A great veggie 5:2 book and the personal touch beforehand as to why Polly started the 5:2 and a piece about Mindful Eating. Well, it put me in a positive frame of mind and this is my 2nd week of doing this and feel tip-top :)." 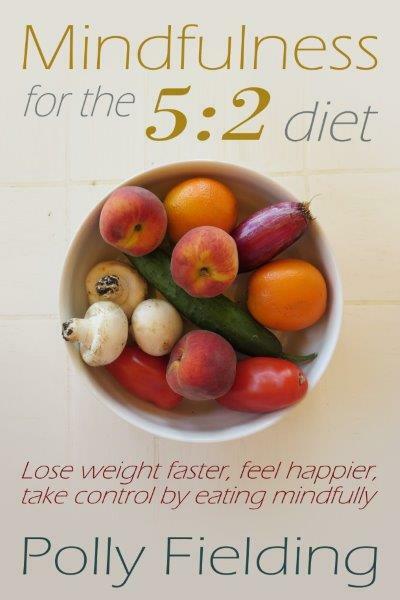 The 5:2 diet is highly popular, thanks to the fact that it is not only easy to follow in the short and long term but also requires minimal willpower whilst allowing you to continue to enjoy your favourite foods. Based on sound scientific principles it has proved extremely successful in helping people to lose weight and to maintain that weight loss, as well as increasing energy levels and providing protection against many overweight and age-related diseases. 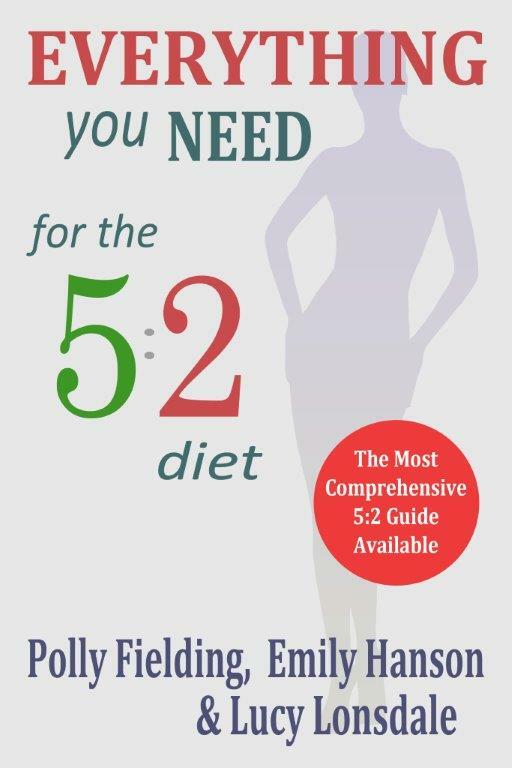 In this book - a co-operative venture by three authors who tell you their own success stories and answer any questions about initial difficulties you may experience - you really will find all you require to get the utmost benefit from this diet. The science behind it is explained in layman's terms; there are plenty of delicious whole days' recipes for individual meal servings and smoothies (all calorie-counted), plus a calorie chart to give you maximum choice and flexibility. "I love the very simple way that the diet is put across. Also lots of great ideas to try for all your meals on fast days. It really does give you a great basic plan to work from." When Polly Fielding's son was diagnosed with severe haemophilia, the only thing she could recall about this blood disorder was "One scratch and you'll bleed to death". This, mercifully, is a myth. But learning the true facts about the condition was not easy. Many healthcare professionals, including doctors, knew little more than she did and the available literature was mostly technical and not very reassuring. So in the belief that the best way to deal with an enemy is to be armed with knowledge, Polly set about researching all she could on the subject, interviewing sufferers, haematologists and other haemophilia specialists. Bit by bit she learned to cope with her son's haemophilia until it became a background to family life rather than dominating it. And when her GP told her that she knew more about it than he did and that she ought to write a book on the subject, she wrote the book she would have wanted to read when her son was first diagnosed. Like all books that deal with medical knowledge it eventually became out of date and she rewrote it in the light of advances in the treatment and care of those with the condition as well as of her own, much greater familiarity with it, following the progress of her son through his teenage years and into adult life. This is that updated book, which was enthusiastically welcomed by the British Haemophilia Society. 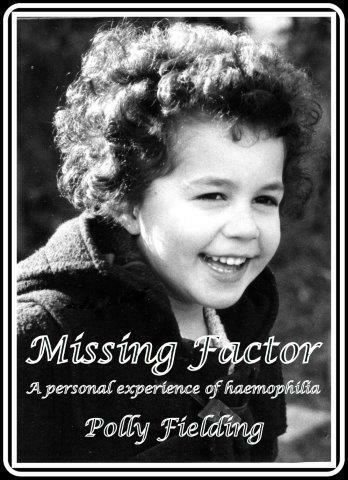 It is a book that will empathise with and reassure those who are facing the unknown territory of haemophilia for the first time, as well as giving those already familiar with it an interesting read that will resonate with them. It will demonstrate that it is perfectly possible for anyone diagnosed with haemophilia to lead a full, active and happy life. "[Missing Factor] describes clearly what family life is like when one child has this condition and the author's research on the subject means that she writes with authority on the technical issues in words that I can understand, including the genetic aspects. I'm sure that anyone with a family member or friend with haemophilia, most particularly parents of an affected child, will gain a great deal of reassurance from reading this book." This is a compendium of three books, all interlinked and written from Polly Fielding's own experiences. In 'A Mind To Be free' the reader is drawn compellingly into Polly's daily struggle with relationships, work, bringing up a family ... until she can no longer fight the pain of her past experiences without expert help. Despite severe self loathing and several suicide attempts, she finally weaves a path through the maze of the mental health system to reach her goal. 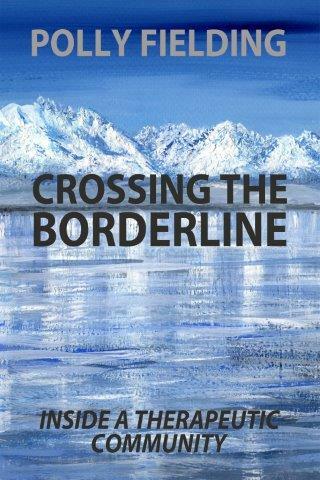 'Crossing the Borderline' tells how Polly, in a therapeutic community, finds the courage to slowly and painfully let go of the past and begin to cope in constructive ways with her powerful negative emotions, her sense of rejection and feelings of worthlessness. Polly expresses herself throughout in the present tense, which gives a striking immediacy to her writing. "The depth of feeling with which the author writes took my breath away. The author is an inspiration and I would recommend this book to anyone. It's not an easy read but it's worth it." This book encompasses many of the best moments of Jeremy Paxman's career to date as a journalist and presenter, including transcripts from several of his most memorable interviews. Despite his dislike of discussing his private life, there are snippets of what Paxman says about himself and what others say about him as a person. We are treated to an insight into Paxman's opinions on a variety of subjects and frequent flashes of his irreverent wit. Love him or dislike him, you cannot help but admire his direct and persistent questioning to uncover the truth. "If like me you are a Paxman fan, you'll love this book It's a very comprehensive volume of Paxman's finest moments. Something that has obviously been put together by somebody who is genuinely enthusiastic about the subject. At over 200 pages, it kept me going for a while and never failed to amuse." Have you tried to diet and found hunger, along with other drawbacks, interfering with your enjoyment of it, despite your perseverance? Polly Fielding is the first author to combine an amazingly simple and effective approach to mindfulness with the increasingly popular 5:2 way of eating to create the ideal recipe for long-term success. Her personal experience has motivated her to share with you how to cope easily with this highly manageable, healthy weight loss lifestyle and gain numerous, unexpected, additional benefits to your life by eating mindfully. She shows you, using practical, easy steps, how to immensely improve your relationship with yourself and others at the same time as altering forever how you relate to food. Reading this book will not only radically change your eating patterns, but will also enable you to become the balanced, happier, more creative person you were always destined to be. "I had heard of mindfulness and its benefits from a few of my friends, that are currently dieting. So I thought I would try and have a look for a book about it and this is the first one I found and I am very glad that I did. This book has made me a lot happier in myself and I am feeling great ever since. Recommended for those who are trying to lose weight and want to feel happy about themselves." Do you sometimes find yourself overwhelmed by the demands of daily life? Are you feeling stressed, exhausted and unhappy but unsure about how to change anything in order to feel better? Do you spend much of your day thinking about something that happened in the past or worrying about what might happen in future? Or are you someone who rarely takes time to even notice what you are thinking or how you are feeling? If your answer is 'Yes!' to one or more of the above questions, this little book of bite-sized, easy-to-digest quotes can help you. It explains the exciting, simple, straightforward and realistic concept that is mindfulness and enables you to apply it wholeheartedly and compassionately to however things are for you right now. And if you are already familiar with mindfulness, by reflecting on these quotations you will strengthen your motivation to practise it more often. "This is a delightful little book. 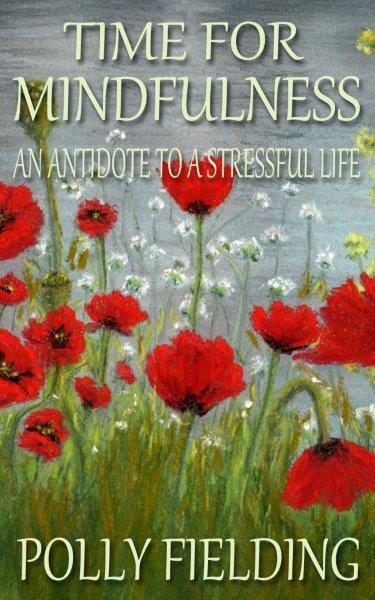 I already have Polly Fielding's book 'Moments Of Mindfulness' and was really pleased to find that she's written a follow-up." However, showing compassion to others is only half the story: self-compassion. frequently in short supply and usually harder to practise, is also necessary. Yet, noticing when we feel hurt, appreciating when we are finding life difficult, being kind, self-soothing and attentive to ourselves is so often brushed aside in the misguided belief that we are being selfish. The reality is though that if we are able to be compassionate to ourselves, the compassion we are able to offer others will be even greater. "A great little book, written with great knowledge and conviction for the subject. Well suited for anyone interested in the subject, also highly recommended to health professionals. Compassion for others is 'easy' but to unlock your own self compassion will enhance your life and the life of others. Well worth a read." What Is diabetes? How is it treated? Does having this condition mean that I can never eat anything containing sugar? These are just some of the frequently asked questions about an often confusing subject. This book addresses them in a clear, concise and straightforward manner. 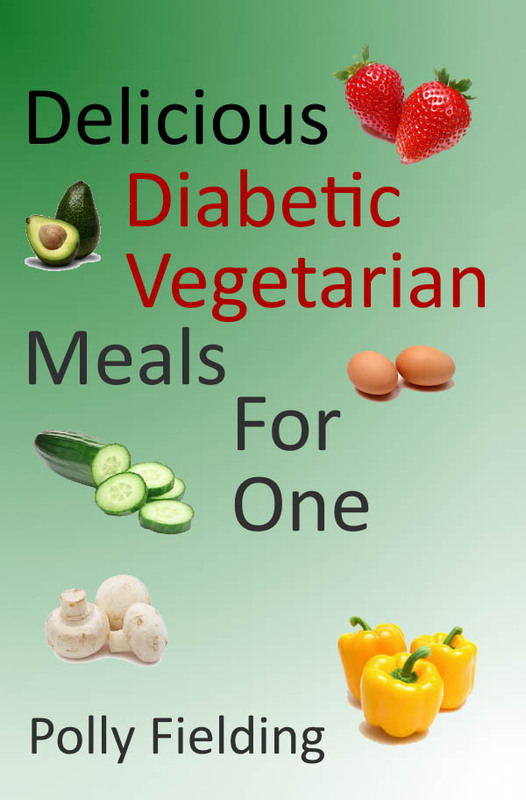 The seventy-five single-serving, tasty recipes that follow have been carefully designed primarily for someone who is both diabetic and vegetarian. However, vegetarian or not, these breakfasts, lunches and dinners give you a balanced, healthy, colourful choice of diabetic-friendly meals to enjoy each day. "This book is really great for type 1, type 2 and everyday healthy eating for anyone. For two just double up quantities and so on.It is simple to follow and the methods are very straight forward. Like the way the recipes are indexed for each section." Arthritis causes painful inflammation in the body for millions of people. And whilst doctors can do much to lessen its symptoms, anyone living with its effects obviously wants to know what they personally can do to make daily life easier. The aim of this book is firstly, to give clear, uncomplicated answers to the sort of questions you might ask when given the diagnosis of arthritis and secondly, to enable you to make important, small changes to your lifestyle to alleviate the pain you experience. Diet is one of the areas where you can easily take some control, once you know which foods to avoid and which ones are helpful. So all the recipes within these pages contain ingredients that are known to be anti-inflammatory. Each breakfast, lunch and dinner is designed specifically for one person (though, of course, you can always double up if cooking for two). Not only are the recipes geared to soothing inflammation but they're also intended to be both tasty and enjoyable, resulting in a healthier, more contented you. "Although my arthritis pain is not severe, I'm always looking for ways to avoid any flare-ups. 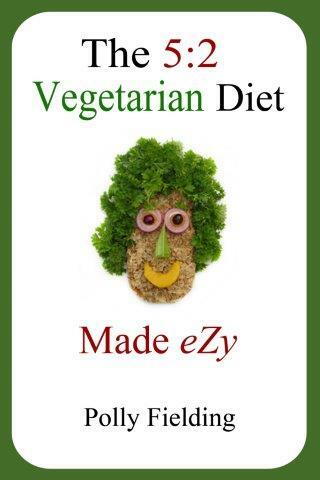 Buying this book (and its companion book for vegetarians) is one step I have taken to stay as pain-free as possible. 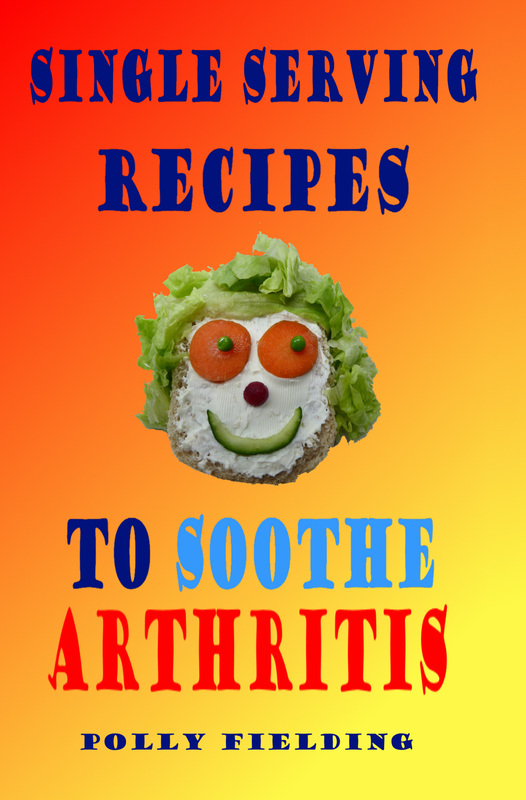 It has plenty of useful advice and a lot of really interesting and mouth-watering recipes containing a variety of anti-inflammatory ingredients, which I'm enjoying. I know that at the moment there is no complete cure for arthritis but eating sensibly, which this book should help me to do, has an important part to play in keeping pain to a minimum. What I find especially useful is the fact that all the recipes are for one person, so I don't need to do lots of complicated maths to get the quantities right." 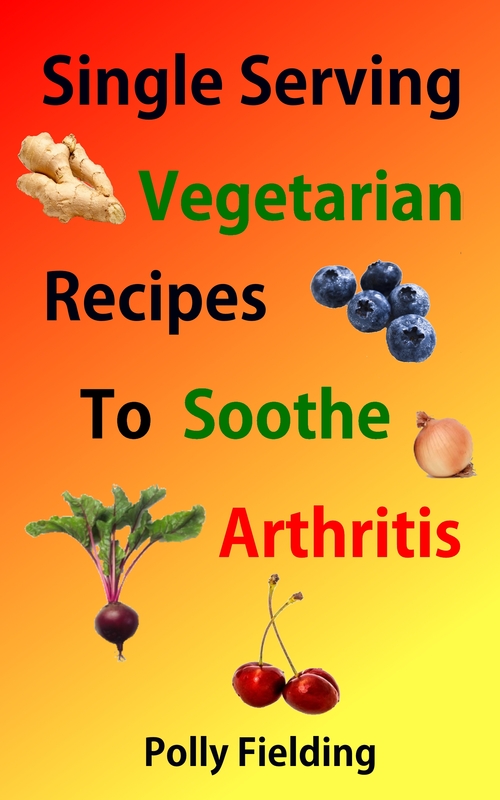 This book contains a variety of vegetarian recipes to alleviate the symptoms of arthritis using anti-inflammatory ingredients with no animal or fish content. Each meal contains ingredients to combat inflammation; for example, flax seeds, chia seeds and walnuts are rich sources of omega 3 oils which are renowned for their anti-inflammatory properties. These breakfasts, lunches and dinners are not only nutritious and beneficial for health but also colourful and delicious. "Very interesting book - looking forward to trying these recipes especially as I have arthritis and looking for all ways of helping this." What is a healthy blood pressure? How can you prevent high blood pressure? How can you lower it if it's too high? These are among the questions this book aims to answer in a concise, straightforward manner. Raised blood pressure (hypertension) is a serious, potentially fatal condition. A stroke or heart attack might be the first indication that you were living with a ticking time bomb. Fortunately, we can all play a significant role in keeping our hearts strong and healthy; various easy adjustments to lifestyle are suggested in these pages. Diet is one of the most important ways to control heart health. But it's not a matter of merely cutting out salt and having boringly bland, unappetizing meals. 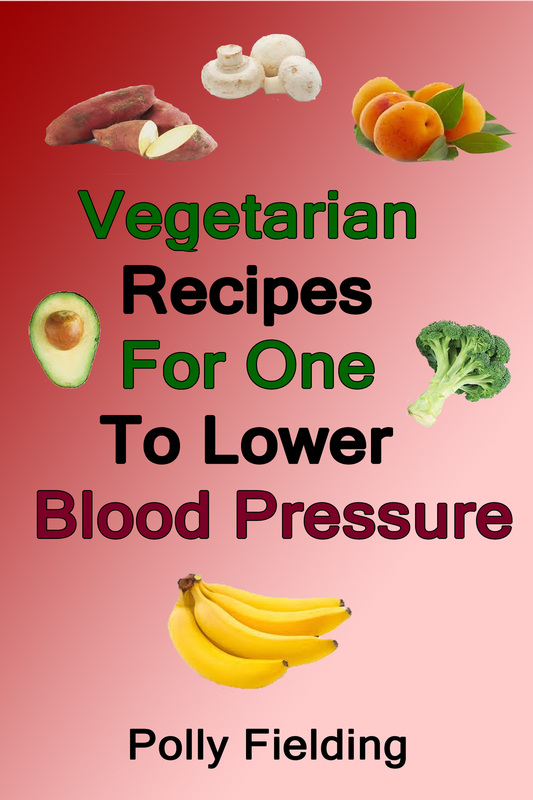 The seventy-five vegetarian recipes in this book use herbs and spices, alongside blood pressure lowering ingredients, to ensure that the meals are pleasurable as well as being good for you. And each nutritious breakfast, lunch and dinner is designed for a single serving. "This is a very helpful and informative book. The question and answer section is also very useful as many people will like to know about blood pressure and how to keep it healthy. Recipes also look very tasty and I will try them."